The current market conditions are testament to why we always encourage people to buy well and buy an ‘A’ grader. In a flatter, or lower, market, these are the properties that will hold their price or value. In addition, we are observing that, more often than not, the properties selling at auction are being sold within the quote range declared in the Statement of Information. However, if the agent doesn’t get the quote right, it could lead to trouble for the vendor with low (or no) buyer inspections at the property. The good properties with good fundamentals that are priced right are also seeing multiple bidders. Perhaps not the 4 and 5 bidders of 2016/2017, but often 2 or 3. Some of this is a result of fewer buyers in the market place; however, another key driver is the more accurate quote range, which has reduced the number of hopefuls bidding when they were unlikely to ever be in the race. We believe due diligence, and buying an ‘A’ grader, proves invaluable at the moment for buyers. Although stock levels are low, there are a number of good opportunities if you’re looking to buy a home for the longer term, including in the ‘off market’ sector. There are currently a number of homes presenting for re-sale within only one or two years of purchase. While sometimes this cannot be helped (death/divorce), some due diligence may otherwise reduce the need to resell quickly. If you had bought an ‘A’ grader in the peak, if you have to sell it now, the result is likely to be more favourable than if you are needing to sell a ‘B’ or ‘C’ grader. We also recommend buyers seek independent advice from experts if they have queries, as the selling agent is engaged and paid by the vendor to achieve an outcome for the vendor. 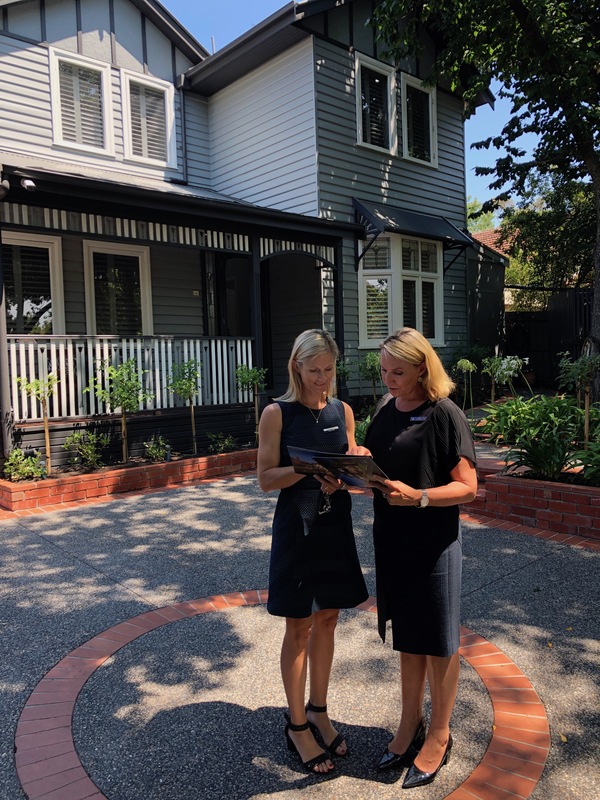 When it comes to property restrictions, surrounds, renovation options, understanding precincts and price, such advice may help reduce the need to sell again in the short term. Stock levels so far this year have been low and we are about to see another reduction in stock as we pause for the school holidays, Easter and Anzac Day public holiday. It is important in this market to ensure you are buying the right house. The good ones are few and far between at the moment. Without a plan and the right information, it could be easy to buy the wrong property. While there is constant suggestion that the market could be flat or even fall further and possibly for several years to come, our lives don’t stop. We will continue to age, we may have children and they will grow up, they won’t leave home, then they will, we will grow old, we will move away or return for work or family and none of these things will wait for the market. If the house is right, it is a good time to buy. We always talk about buying an ‘A’ grader or something that could be an ‘A’ grader with the right work because ‘B’ and ‘C’ graders really do struggle in a declining market. 62 Essex Street Surrey Hills (Belinda Anderson/Mark Salvati, Jellis Craig) – quote $2.5-2.75m – a quirky modern home on approximately 1,000sqm land – sold for an undisclosed amount toward the mid $3m mark. Grant Wallace & Charlotte Broussard from Hocking Stuart had a good crowd to work with, delivering a strong result for 12 Caroline St South Yarra. 12 Caroline St South Yarra offers a neat and tidy single fronter with the benefit of OSP (albeit for a smaller car). The home has been renovated over time, delivering excellent natural light in an ‘A’ Grade location, quoting $1.3-1.4m. A large crowd had gathered as the clouds cleared from the morning showers, giving Grant Wallace and the Hocking Stuart team plenty of interest to work with. 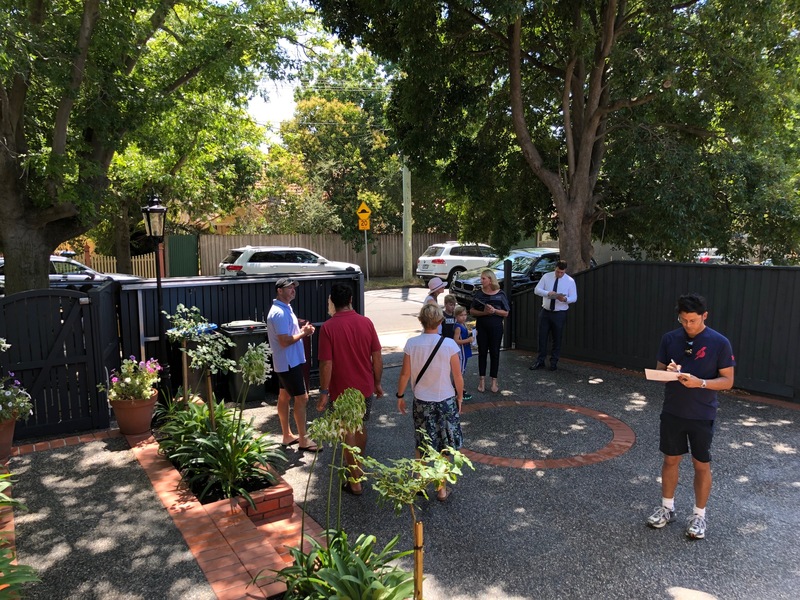 Starting with a vendor bid of $1.3m, three bidders swiftly took the offers up to $1.46m at which the agents took a break to chat with the vendors. Declared on the market a little later at $1.49m, bidder one remained keen and was now joined by a fourth. 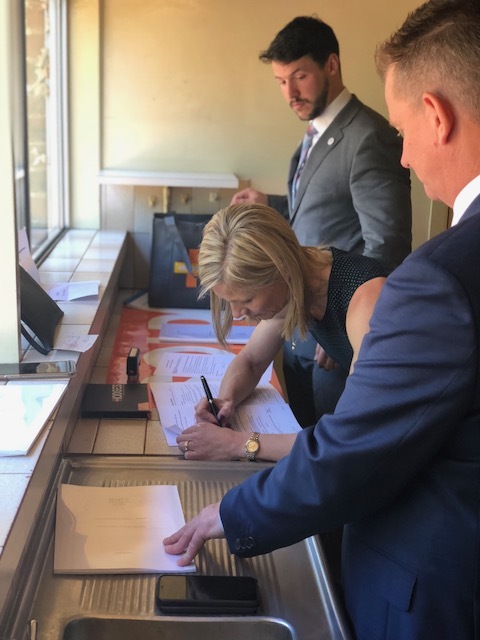 Both were obviously very keen to gain access to the keys, steadily trading bids, before bidder one slowed considerably, eventually allowing bidder four to secure the home for $1.642m. A solid outcome for the vendors. Justin Long from Marshall White could not entice a bid from the crowd gathered inside at 12 Canterbury Rd Toorak. With light rain falling, this auction took place indoors and a reasonable crowd of about 40 people gathered in the rear family room to watch proceedings. A solid, free-standing double-fronted brick Victorian was on offer and we liked its potential, as there is room for a modern extension (stca) and the position is a conveniently central one, albeit the street is a little narrow. 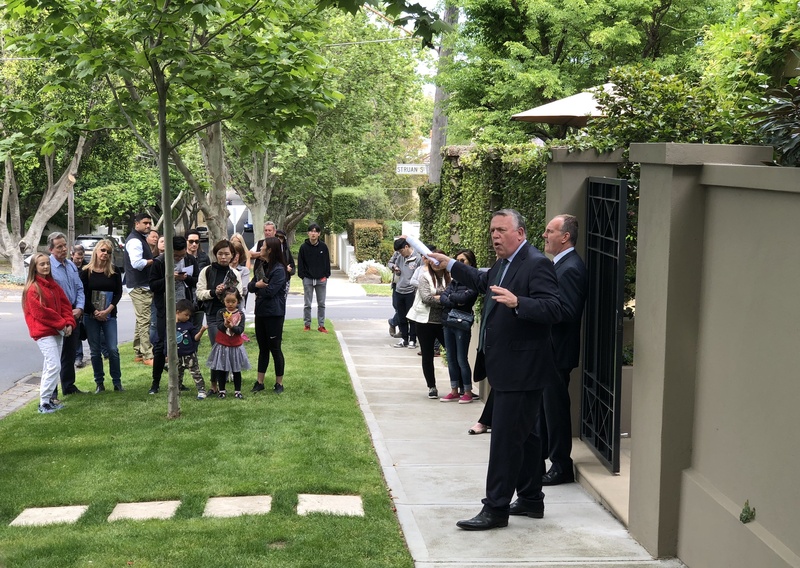 Auctioneer Justin Long gave a warm spiel about the home and the immediate environs and didn’t look for an opening crowd bid, but rather promptly announced a vendor bid of $2.8m. This did little to encourage any active bidding and the property passed in at this figure. At time of writing, the property remains for private sale for $3.1m. The first big test weekend for 2019 has passed somewhat smoothly, albeit a far cry from the start of 2017 and even 2018. Most of the properties we attended had bidding, even if it was from only one party, with the property more often than not selling after in private negotiations. The quote has become an important part of the process. Many of the homes we reviewed over the weekend sold within their respective quote ranges. Moving forward, however, this may be more difficult for agents to predict, as an increasing number of homes are being reported sold with no prices recorded. If buyers and sellers were waiting for some additional guidance after this weekend, the results suggest there are good opportunities to buy or sell at the moment. If buyers are only searching for bargains, or sellers are waiting for a dream price, they might be better to wait. For those wanting to move onto various stages of their lives, whether it is buying, selling or both, there is still a market there. For those thinking of upgrading, now can be an even better time to make the move, particularly if you are willing to buy something a little ‘daggy’ that you can fix up over time. We believe there are still a number of well-located properties that can become ‘A’ graders out there to buy. The key is being able to identify the level of work required and cost involved to assess whether the end product would be over-capitalising for the suburb. A basic understanding of what can and cannot be done in a town planning and building permit sense is also a very important consideration. 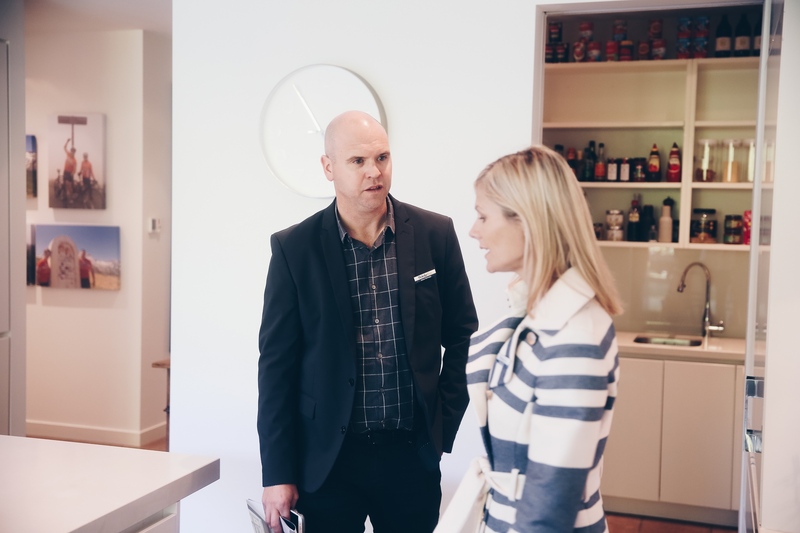 Adam, a registered and practising architect, has helped many of our clients buy into suburbs otherwise unachievable had they been searching for completed products. Nick Johnstone was made to work hard for a bid on 55 Durrant St Brighton, promising to jump in the pool in return for a bid! Well positioned to the Bay Street shopping precinct, 55 Durrant St Brighton offers a family home with multiple living options and good bedroom separation, as well as an easy-flowing entertainer’s deck and pool off the rear lounge. Comfortable now, but the home would benefit from a freshen up. A sizeable crowd gathered in the garden for the Nick Johnstone auction, quoted at $1.8-1.85m. 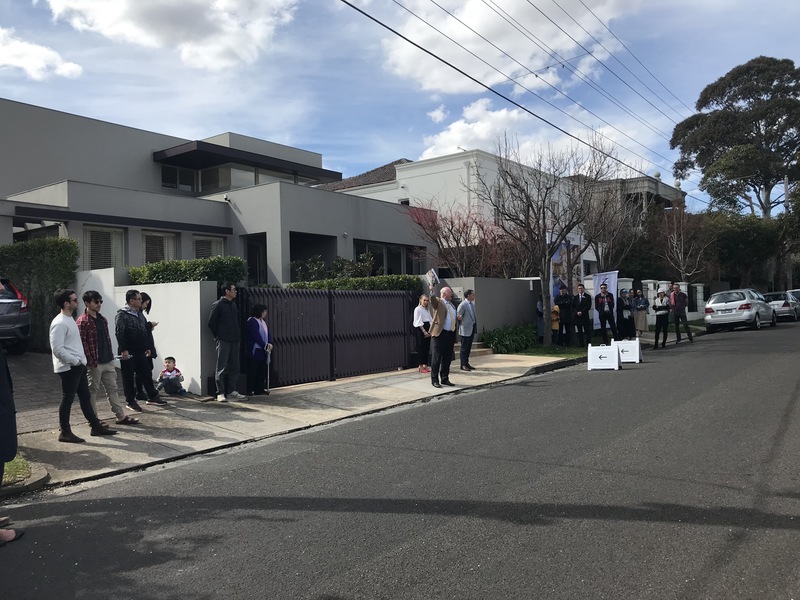 Following the preamble, Nick was faced with a silent crowd, even after he placed his one and only vendor bid of $1.75m. Eager to entice a bid, he offered to jump into the pool fully clothed for any bid that was placed! It took a while for this strategy to work, with a young couple eventually taking the plunge with a $1.755m offer. There was almost another bid placed, although quickly corrected. No further action was to be gained from the crowd, so the property was passed in for further negotiations with the bidder. The home sold shortly after for an undisclosed amount close to $1.9m. Nick Johnstone kept his promise and took a leap into the pool after the deal was done. In vast contrast to last weekend’s sweltering conditions, the temperature on Saturday hovered around 15 degrees for most of the day with heavy showers and intermittent squalls … but that’s Melbourne! What was the same, surprisingly, was the number of buyers out at opens, braving the weather and checking out the stream of new properties open for inspection. There was also a spattering of auctions across inner Melbourne. The five key councils (Boroondara, Stonnington, Glen Eira, Port Phillip and Bayside) saw 20 reported auction results. Collectively the suburbs within these councils cleared 70%. Interestingly, all but two sales were under $2million and the two that were over that figure passed in. Such few results really don’t provide an indication on market direction. We are more likely to get a better feel after the auctions on Saturday 23rd February, where there should be more volume. A lot of time has been spent worrying about whether the Banking Royal Commission Report would further impact market conditions. Immediate downward changes to the market were seen at the commencement of the enquiry, with banks tightening lending criteria, introducing new checks and measures before making funds available and restricting interest only/investment loans. This, however, has been done and the market has adjusted accordingly. Among the recommendations there was much focus on changing the rules regarding mortgage broker remuneration. We believe good mortgage brokers play an important role in the property market. They are often able to assist small business owner buyers into the market, taking the time to consider their needs and explore the plethora of options available from all banks and financial organisations to find the right package. Many are small business owners themselves. Whether this will impact the market further, only time will tell. As quickly as the market has started, it will soon be school holidays and Easter and the new stock will dry up again. 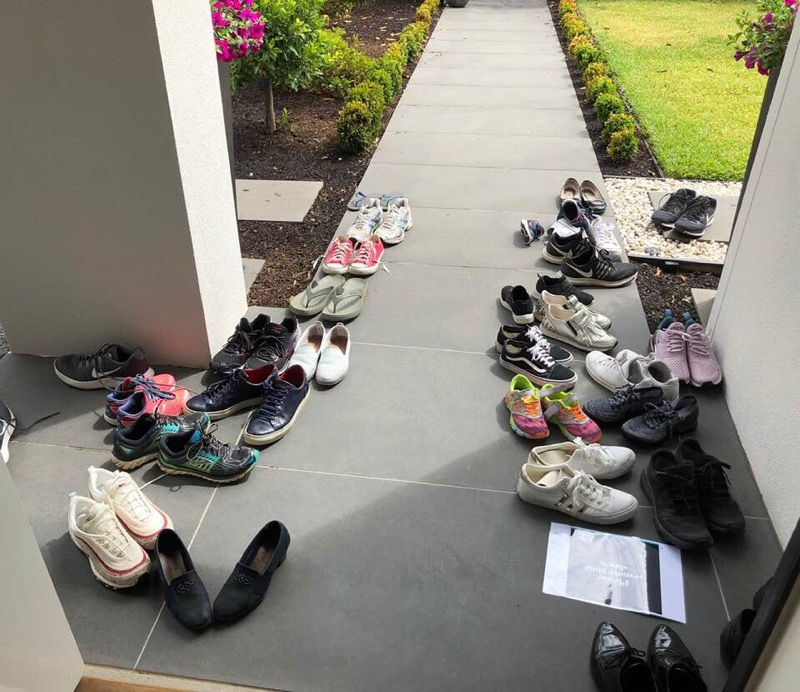 With ‘Labour Day’ long weekend looming, some agents have mentioned longer campaigns to ensure buyers absent over that weekend have time to view properties before they are auctioned. This may also be a strategy to try and sell a few homes before auction if they feel there may be only one standout buyer. 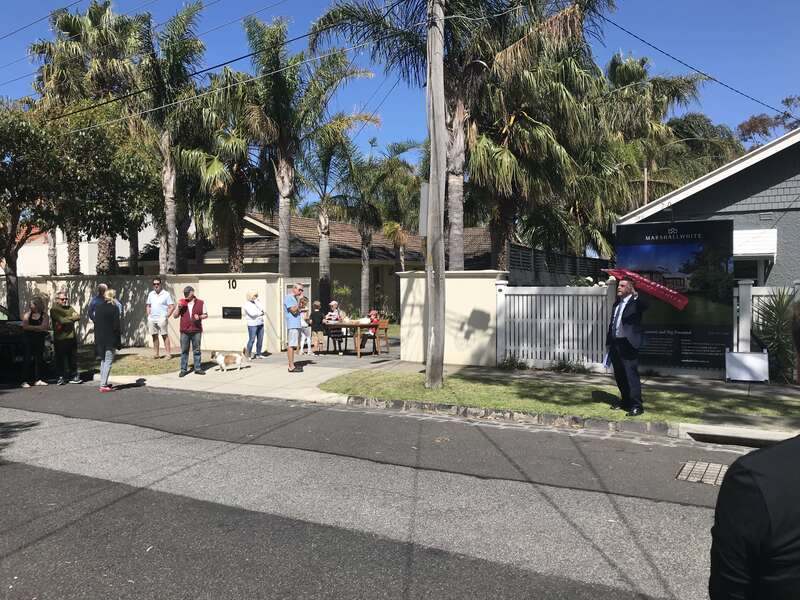 Saturday was the last of the ‘big volume’ auction weekends, as the 2018 property market winds up for Christmas. While the general clearance rate was under 50% again (for the reported properties), we thought we would focus on some stats, as there were some standout suburbs with solid results. Malvern East has also seen a number of unreported off-market results over the past few weeks. While a week in real estate doesn’t say much, we think the results demonstrate that buyers are prepared to compete for the properties where there is a combination of good-quality, right-priced stock and vendors with realistic expectations. It’s a great time to upgrade as the gap is closer (ie 5% drop on a lower-priced home is less than a 5% drop on a more expensive one, reducing the extra money to upgrade). Competition is more tempered, so there’s a greater chance of success if you are prepared. As loans revert from interest only to principal and interest, there are a number of investment properties in blue-chip areas coming onto the market that may otherwise have been held indefinitely. Current and future vendors are now aware of the market we are in and more comfortable to sell for market value. Thinking outside the box a little and being prepared to do some work, such as buying a ‘B’ grader that can become an ‘A’ grader. With the right advice, this can be a great way to secure your next family home and certainly some of our clients will be enjoying their new homes for Christmas. With only a couple more weekends before Christmas, most agents will now be focusing on trying to sell existing stock before taking time off for the summer holidays and get ready for a new auction year, which tends to commence after Australia Day. We would like to take this opportunity to thank you for your support this year and wish you a Merry Christmas and a safe New Year. We look forward to resuming our reports once the auctions return in February. 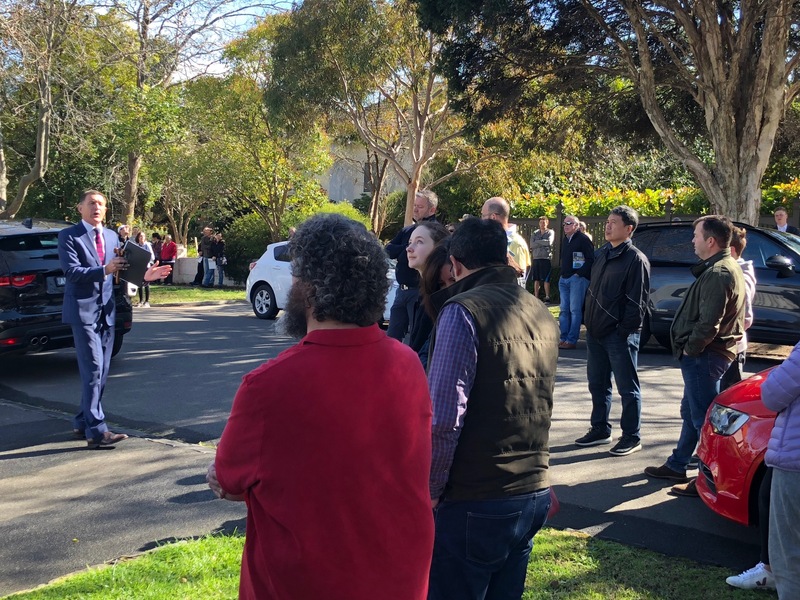 A good-sized crowd greeted Ian Carmichael from Jellis Craig at the auction of 11 Wheatland Rd Malvern, although bids were tough going. The home at 11 Wheatland Rd Malvern offers a combination of Federation features at the front, combined with a light and modern extension to the north rear. Off-street parking for one car at the front, with a second one, perhaps a little tight, in the rear carport. The home would suit downsizers or smaller/younger families. Ian Carmichael opened proceedings with a vender bid of $3.8m before receiving a genuine bid of $3.82m. The crowd was given some thinking time with a break, but further silence from the 50 or so people in the crowd greeted him after. Ian placed a second vendor bid of $3.9m before receiving another bid of $3.91m from the only bidder to secure negotiation rights. The property was passed in on the street, but sold shortly after for $4.01m. 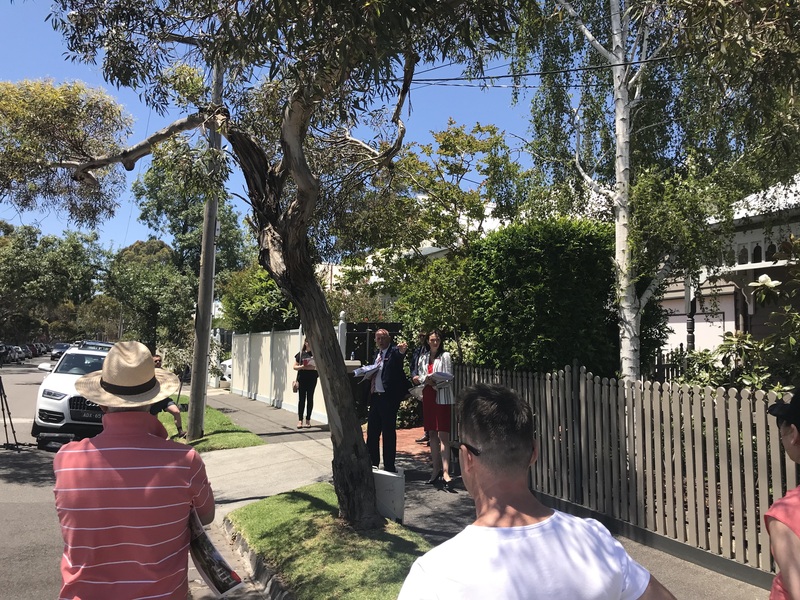 Peter Kennett and Tamara Penno from Hocking Stuart successfully auctioned the pretty Edwardian at 4 Montrose Avenue Brighton. Situated opposite the well-regarded Elsternwick Primary School and an easy walk to the Martin Street shops and cafes, this home was always going to appeal to young families. Although a south rear, a good-sized decked area wrapped around for north-east light access. The home has been renovated, with a spacious family bathroom serving the three bedrooms, on approximately 381sqm of land. Peter Kennett and Tamara Penno from Hocking Stuart had run the busy campaign and headed up the auction. 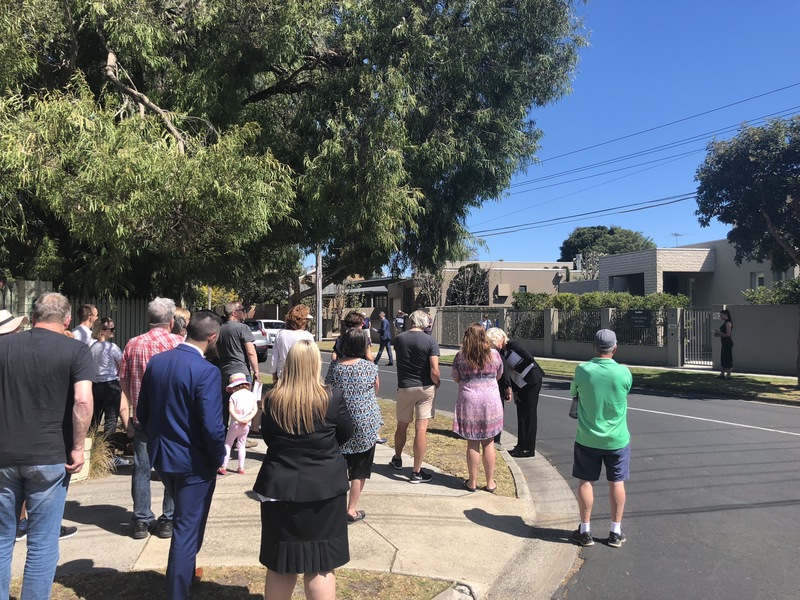 A bid of $1.68m started the auction, swiftly followed by another young family, trading bids to take the property to $1.82m and onto the market. A third bidder entered the action, before bidder two stepped out. Both couples were clearly keen to get the keys, trying to stretch as much as possible. Bidder three was eventually successful, securing the home for $2.0m. It was another mixed round of results on the weekend. Vendors with sold stickers were likely to be feeling relief after the clearance rate statistics (47%) were posted on Saturday evening. More than ever, buyers need to be aware that an auction has three parts to it: pre-auction, at auction and post-auction. A property can be bought in any of these timeframes. At the moment, of the properties that are being bought, it feels like they are falling equally into these sections. When the market was at its highest a few years back, this breakdown was more like about 15% pre-auction, 70% at auction and 15% post-auction. Why is this? We think predominantly because there are less ‘eligible’ buyers right now, mainly due to recent APRA loan crackdowns and money becoming less available. The media has also done its share of scare-mongering and buyers are more wary now and uncertain as to acceptable buyer behaviour. Scarcity is still providing solid results for quality, well located properties, although offerings were pretty slim on the weekend, particularly in Stonnington. For buyers, there are some good opportunities to buy if the offering meets your needs. While media reports of doom and gloom are influencing buyers, many of whom are missing out on buying suitable homes because they think they should wait, there are opportunities available that we haven’t seen before. Interestingly, we have been involved in a number of transactions this year where vendors are selling their investment properties, often to reduce their land tax commitments. As property valuations have increased, so have the taxes payable. This has opened up a number of opportunities for buyers to purchase homes that have been otherwise tightly held. For a number of these vendors, the properties have seen large gains over many decades and they’re more prepared to sell in the current market at the market price. For buyers, opportunities are opening up in areas where they may have been outpriced 12 months ago, such as Albert Park, South Yarra and Hawthorn, where many smaller homes are now available at slightly lower prices. The trade-off for the position and opportunity is that many of the homes have seen little change since purchase, therefore buyers will need to be prepared to undertake renovations, some extensive and costly. Due diligence regarding overlays, setbacks, costs etc. is very important to ensure you buy a home that can be what you want it to be. The plus, if you’re prepared to do the work (perhaps over time), is the ability to buy in some of Melbourne’s premium suburbs, where last year buyers may have been outpriced. 22 Sussex Street Brighton – Stefan Whiting / Gary Yue, Buxton. Large, yet original home on 970sqm, located between Church Street shops/station and the beach sold for $5m or $5,154sqm. 19 Sunnyside Avenue Camberwell – Michael Hingston/Chris Hingston, Jellis Craig. Fairly original brick Californian Bungalow, 900m2 approx. north rear, blue-chip Camberwell property. Sold for $3.46m. 159 Prospect Hill Road Canterbury – Doug McLauchlan/Stephen Gough, Marshall White. Well built and designed 20-year-old single-level three-bedroom townhouse, perfect for a downsizer. Sold for $2.520m. One of the few properties that sold under the hammer on the weekend – auctioneer John Morrisby from Jellis Craig at 4 Leopold St Glen Iris. Plenty of activity in this street, with three properties currently on the market. We were at the auction of No. 4 – a modern semi-detached townhouse that appeals to a wide buyer group and has been tastefully designed and built. Smart to have a master bedroom suite upstairs and downstairs so that stairs are somewhat eliminated. Such a consideration would not have been taken in to account 10 to 20 years ago. 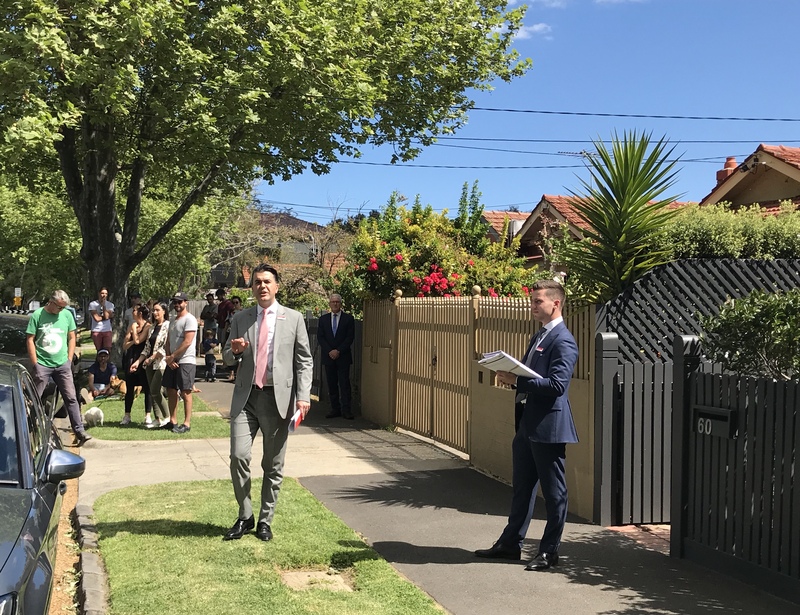 In front of around 40 people, auctioneer John Morrisby opened with a vendor bid of $1.850m and it didn’t take too long for this to be advanced by a young couple. Enter bidder 2 (another young couple) not long after and the auction wasunderway. Original bidder looked weak and pulled out, then entered bidder 3 (probably the parent of bidder 1) to do the heavy lifting. Not an uncommon strategy these days. The property was announced on the market at $1.970m and sold not long after for $2.009m to the original bidder. Quick-fire auction, all over in about five minutes. As a point of interest, the original full block last sold in 2000 for $450K. 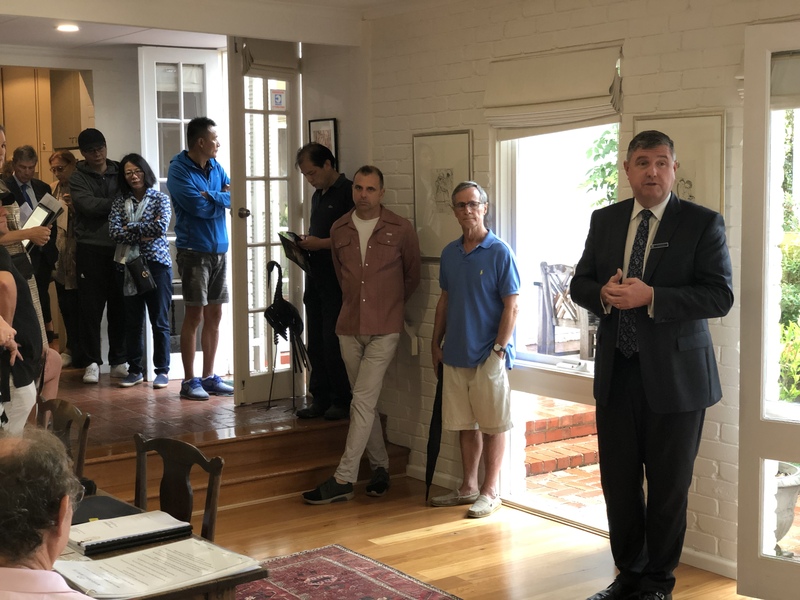 Jack Johnstone from Marshall White works the crowd for bids at 8 Talbot St Hampton, while some entrepreneurial children next door made the most of the crowd at their lemonade & cake stand. It was the perfect spring day for an auction in this well positioned part of Hampton. On offer was a period home extended some time ago, on a well sized 860sqm block. The home sits within a neighbourhood zone without a heritage overlay. Sold only 18 months ago for $2.926m under spirited competition for well over its then reserve, the current market was going to be a test for such a swift turnaround. Jack Johnstone headed up the Marshall White team, asking for $2.65m opening offers. A cheeky $2.2m was instead called out and reluctantly accepted. Another family entered proceedings with a $2.3m counteroffer. When the first bidder tried to reduce bids to $20k at this point, Jack rejected the offer, instead placing a vendor bid of $2.65m to move towards the quoted range. Bidder two offered $2.67m, at which pointed activity stalled, a discussion with the vendors followed, but no further bids could be extracted. While the family went inside for post-auction negotiations, it seems agreement could not be reached and the home remains on the market at time of writing, with an advertised price of $2.95m. Jeremy Fox from RT Edgar looks for bidders at 17 Struan St Toorak and finds two. The property passed in for $3.56m and sold after for an undisclosed amount. We believe the weekend results confirm our previous reports that Melbourne is running a two-tiered market. The well positioned, correctly priced and increasingly scarce properties are attracting good competition and some strong results (particularly if the property suits the downsizer market), while the remaining homes, those needing work, with not-quite-right floorplans, poor orientation, and/or location issues, struggle to attract any interest, particularly if the vendors have high expectations. The downsizer market (who, in general, are not as reliant on finance for their purchase) continues to grow and strengthen as more buyers enter the market searching for single-storey homes in the quiet streets close to amenities. 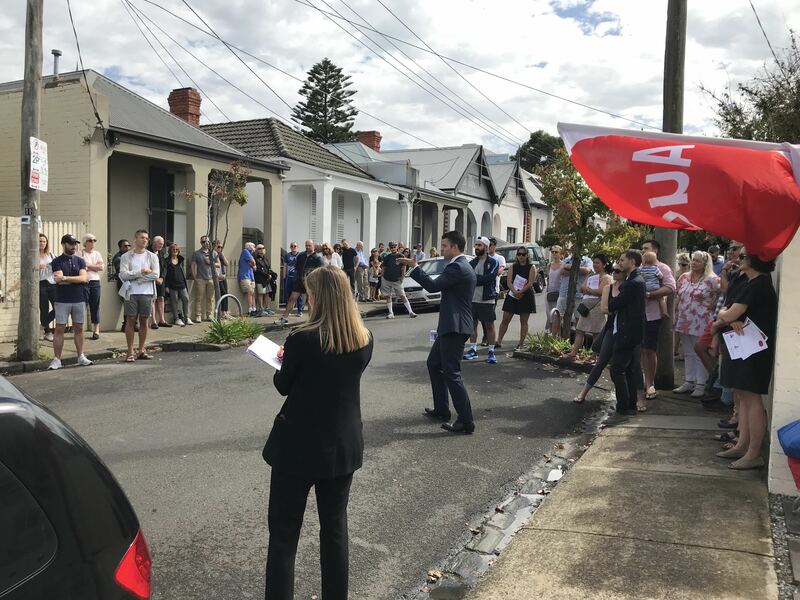 Examples on the weekend could be seen at 5 Edward Street Armadale – six bidders, on the market at $1.42m, selling for $1.82m and 8 Gordon Crescent Black Rock – four bidders, on the market at $2.475m, selling for $2.63m. While quite different in their offering, it was their similarities, which are constantly in demand and short supply, that saw 10 bidders between them where other homes saw none. Both sold well above their respective reserves, which is perhaps the other key to their successful sale – the vendors of both properties had realistic price expectations. The weekend saw 20 reported homes sell over $3 million, of which over half were in the Stonnington Council. The top end of the market is still travelling well, with many buyers again not as reliant on finance. The bigger issue is finding the stock. 248 Richardson Street Middle Park (Simon Gowling/Warwick Gardiner, Greg Hocking Holdsworth) – again, a single-storey home in a quality street, comfortable but could also be further updated, even with no off-street parking, sold for an undisclosed amount comfortably over $3.5m. 7 Kingston Street Malvern East (John Morrisby/Matthew Coombs, Jellis Craig) – approx. 941sqm opposite Central Park with an Edwardian looking for its next renovation (STCA in a heritage precinct) sold well, with scarcity again in play. On the market at $4.525m, sold well above reserve for $4.825m. 9-11 Ashley Grove Malvern (Richard Mackinnon/Fraser Cahill, Marshall White) – approx. 1651sqm in the growth zone (GRZ10), sold $7.1m or $4,300sqm. 4 Moule Avenue Brighton (Nick Johnstone/Joe Doyle, Nick Johnstone Real Estate) – approx. 827sqm with a French Provincial style large family home in the Golden Mile, $6.1m. 6 Joyce Street Elwood (Torsten Kasper/Carolyn Clarke, Chisholm & Gamon) – a modern, well located townhouse, $3,215,000. Rob Vickers-Willis take the reins for this auction and brings home the property in a canter. Even in this market, this auction was going to fire and it certainly didn’t disappoint. Why? Scarcity. And something this market really wants and needs: single level. Good car garaging. No body corporate. Light-and-bright and cleverly architect-designed – well done again Nicholas Day. A healthy crowd gathered (most were here to buy) and there was a real buzz. Bidding started off with a low-ball $1.2m offering – which I thought was a bit silly really, if your goal is to try and buy the home. 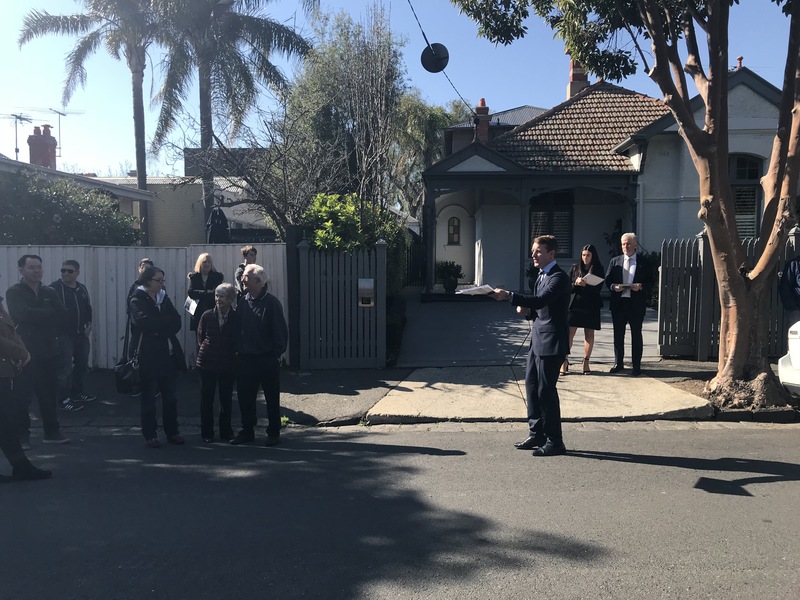 It didn’t take too long for this auction to take off and the property was announced on the market at $1.42m then sold for $1.82m. Six bidders put their hands up here, but there could have been more had they had a chance to bid. Auction was all over in about five minutes, and I overheard someone use the word ‘crazy’ with respect, but I didn’t think it was really. Good properties in the hands of good agents with realistic vendors tend to always sell – and sell well. 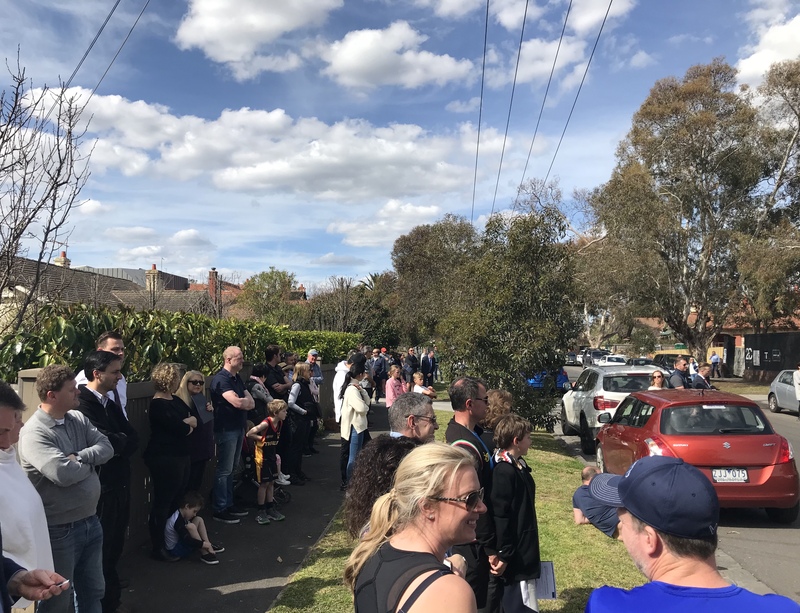 A healthy crowd enjoyed the sun and the auction fronting on to Malvern East’s iconic Central Park. On offer here was a solid, original home with healthy bones and excellent potential. Car access via the southern side of the house was generous and there was good opportunity for prized northwest light in the backyard. The renovation could be relatively straightforward and it will be interesting to watch the progress of this property in the coming months/years as it transforms. But the X factor was the location – there are not too many properties which front on to Central Park, but this one did. Auctioneer John Morrisby gave a spirited preamble, and officially kicked the auction off on a vendor bid of $4.15m. Not long after, this was advanced by two bidders in a steady pace of to-and-fro bidding. The property was announced on the market at $4.25m and then sold under the hammer for $4.825m not long after. Well done to the buyer – they have done well. Bigger numbers inspecting and attending auctions with the arrival of spring, but buyers have firmer limits and are more cautious to bid. The Spring market has now well and truly kicked off. Whether it is the improved weather, or the opportunity to view some new offerings, we’ve seen an increase in the number of buyers inspecting homes. Those buyers without homes are coming to the realisation that Christmas is nearly upon us, with a limited number of auction weekends before the market closes up until after Australia Day. Take the Cup and Election weekends out of the mix and we are looking at only eight more good auction Saturdays, two of which already have campaigns underway. Certainly, the better homes that are marketed and quoted accurately are seeing competition, albeit more tentatively off the mark. Buyers definitely seem to have more firm limits, however. Unlike 2016-17, where auctions started strongly and buyers slowly kept edging over their limits when bidding, we are seeing far more cautious initial bids that become stronger as a second and sometimes third bidder become involved, particularly if the home is announced ‘on the market’. We are also seeing some homes defying the market trend. Homes combining scarcity with position are still performing above and beyond any previous market results. We inspected a very good home in Armadale, in a premium location, which was ‘opened’ for the first time last week and bought at the asking price by the first person through. We think it is important in any market to buy a good property first. It is easy to get caught in the trap of a down market by buying something just because it is cheap, even if it isn’t quite right. The good homes become less available in a down market, particularly if vendors don’t have to sell. With fewer homes to compete with, the really good ones can still outperform. One of the hardest things is knowing what makes a home really good and then finding one that is actually really for sale. 19 Collingwood St Sandringham – one of the few homes that we saw sell under the hammer on the weekend. 19 Collingwood Street (quoted $1.6-1.76m) offered a comfortable period home on a very good piece of land. Relatively flat with no easements, we thought the land was the valuable component of the property, located in a quiet street and well located to the shops, station and beach. The home was functional enough and had been updated along the way, making it quite liveable; however, the position on the block and orientation to the south ensured the living rooms received limited natural light for most of the day. Simone Chin from Nick Johnstone Real Estate called the auction. When no opening bids were forthcoming, she commenced with a vendor bid of $1.75m. Looking like another pass-in was imminent, finally a genuine bidder emerged offering $10,000. With that, a second bidder also joined the game. Extracting bids was slow until the property was announced on the market at $1.83m, with the final result settling at $1.845m. 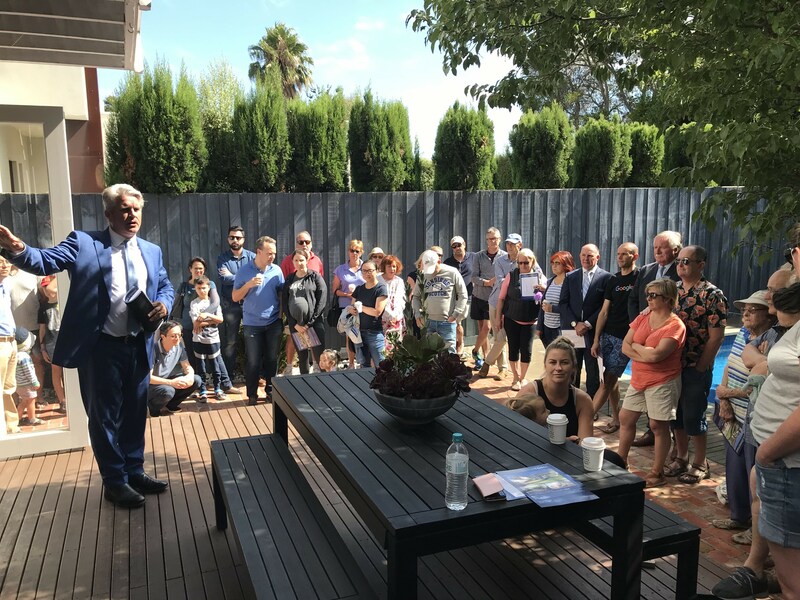 Sam Inan from Hocking Stuart had a crowd of over 60 people along both sides of the street to work with at the auction of 60 Ruskin St Elwood. The home on offer at 60 Ruskin St Elwood (quoted $2.1-2.3m) hides its modern and stylish renovation behind an understated Edwardian façade. It delivers good family accommodation with two living zones and a huge central bathroom. Although the south one of the pair, excellent light is achieved internally through skylights and a glass rear wall up to the cathedral ceiling. While plenty of locals came to see the action just to see how the market was going in their area, a number of serious looking buyers were in the crowd. 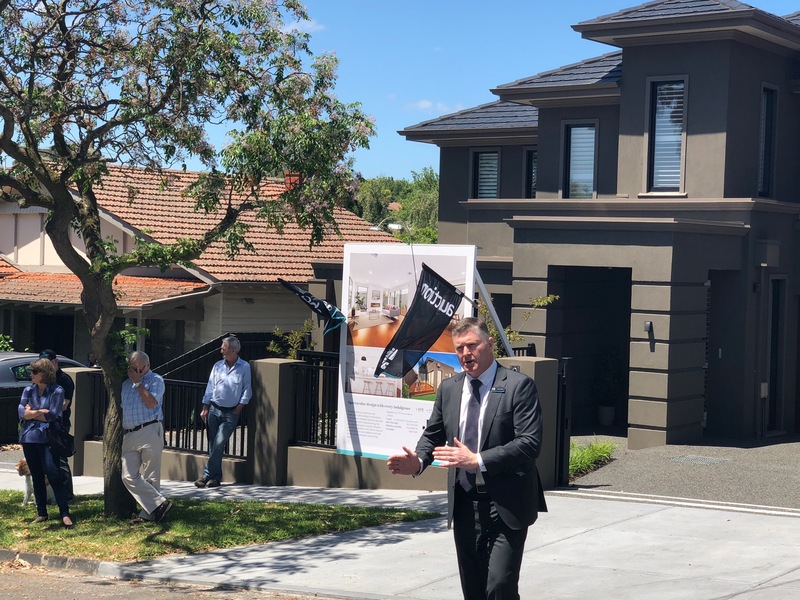 Standard bidding shyness caused the usual silence once bids were called for and Sam Inan from Hocking Stuart was forced to place a vendor bid of $2.1m. Further inaction made Sam go inside to give everyone some thinking time. Just when it looked like passing in, a surprise bid of $2.165m was placed by a young couple, followed by another couple counteroffering a further $10k. Bidder one replied equally before bidder two made a slightly larger jump to settle on $2.2m where the home was eventually passed in. Discussions continued inside and the property was sold shortly after for an undisclosed price a little higher. Antony Woodley from Marshall White looking for bidders at the auction of 82 Guildford Rd Surrey Hills. The property passed in for $2.92m and remains for sale at time of writing for $3.05m. As we head into Spring, we expect to see the better (or conveniently located) homes well contested. With the warmer weather, we saw increased numbers attending auctions and some very well attended inspections. If you don’t have an ‘A’ grader, these numbers should provide confidence that buyers are around if the property is priced correctly. The biggest change we have seen this year is the faltering of the auction process, partially brought about by external influences (royal commission, reduced access to money etc) but also by overly optimistic vendors who started to believe their properties should always see higher results than the previous sales. We believe in five-year flexibility. For most homes bought five years ago (As, Bs and even some C graders), there has been good growth. Maybe if you had sold 12 months ago, it would have been slightly higher, but, in general, the majority of homes (perhaps excluding new apartments) are worth more than they were five years ago. As a seller auctioning your home, if you’re willing to meet the market, you should take comfort that the auction process still provides a clear process, set timeframe and transparency for buyers. However, the changing market has brought about an increase in private sales, expressions of interest and stale properties. As a buyer, this can also be a good way to buy, particularly if you have a thorough understanding of what you need and the market you’re buying in. However, it also results in reduced transparency as each agent will have their own way of managing things (ie their own set of rules depending on the property, other buyers, similar products and vendor expectations). You can also waste a lot of time trying to buy a home that may not really be for sale and miss other genuine opportunities. Have a good relationship with the agent (although maybe not too good; you might wind up paying $100,000 more than you have to – the agents are getting paid by the vendors no matter how friendly they are). Get a clear understanding of the process before you start talking dollars. Ensure the property is really for sale. Engage the services of an experienced buyer advocate. For sellers who bought a ‘B or C’ grader more recently and need to sell now, the opportunity to make some money and/or recoup costs may not be there. As an example, 392 St Kilda St Brighton sold privately last week after passing in on 1 September. It was last sold in February (only seven months ago) for $3.09m and just sold again for $2.95m. 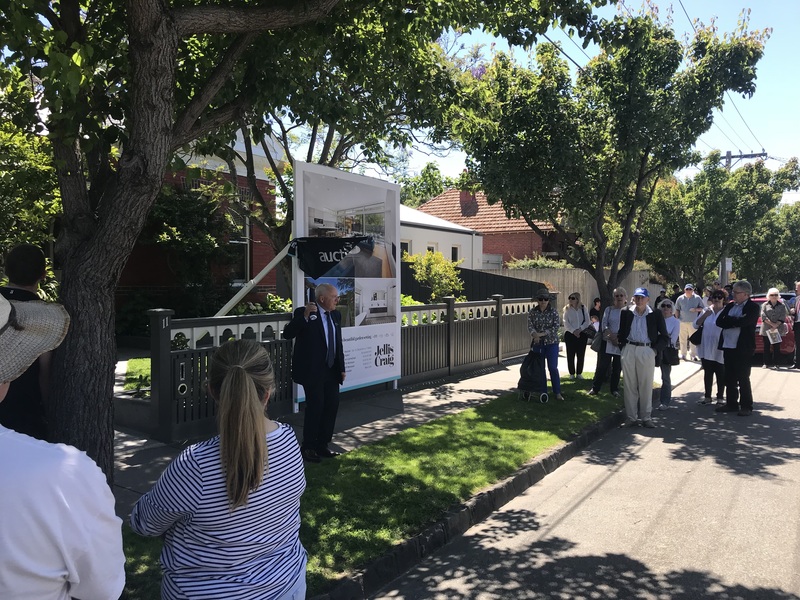 Gerald Delany from Kay & Burton was made to work hard to try and entice a bid from the crowd at 7 Devorgilla Avenue Toorak. This well positioned home offeres good spaces within a functional floorplan, with a sunny north rear aspect. Good basement garaging was another plus, although the lack of lift may have deterred parts of the market. Around 50 people attended the auction, led by Gerald Delany from Kay & Burton. Following the standard auction rules and complimentary overview of the property, Gerald was met with a quiet audience. A vendor bid of $4.7m was placed to get proceedings started. Try as he might by pushing the value of being the highest bidder to have exclusive negotiation rights, as well as going inside to give everyone some extra thinking time, nobody was forthcoming with an offer. The property was passed in on the street, but it did not take long for an interested party to come forward and the home was sold shortly after for an undisclosed amount slightly over $4.7m. 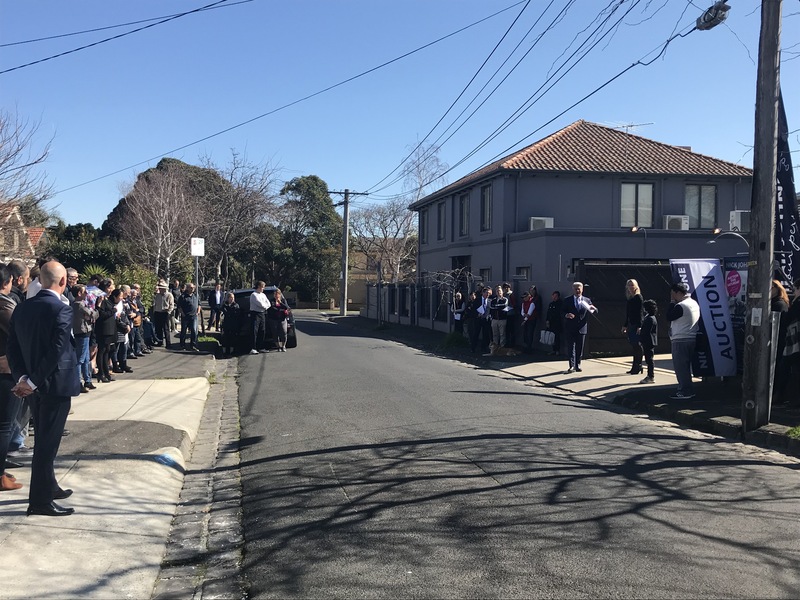 A large crowd came to observe the auction of 64 Beaver St Malvern East, but nobody was prepared to place a bid and the home remains on the market at time of writing. 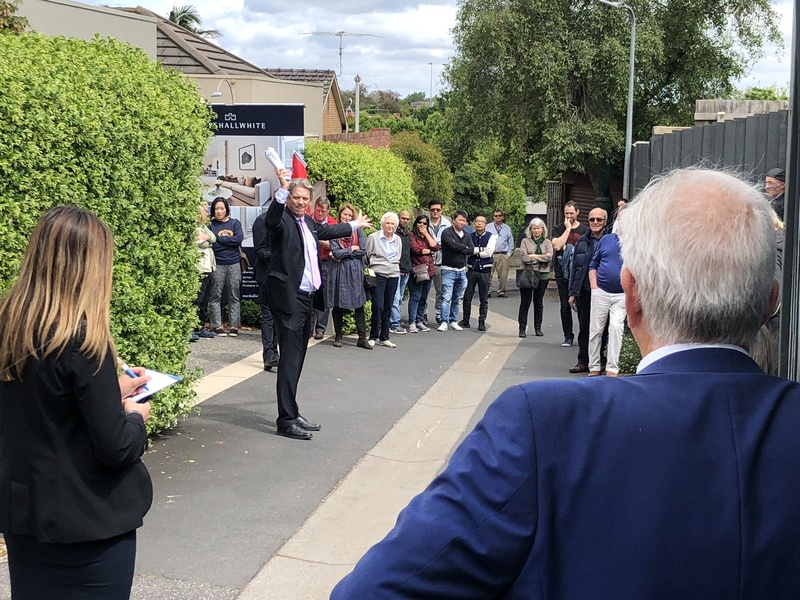 An auction on Beaver Street Malvern East always draws a good crowd and the auction at number 64 was no exception. 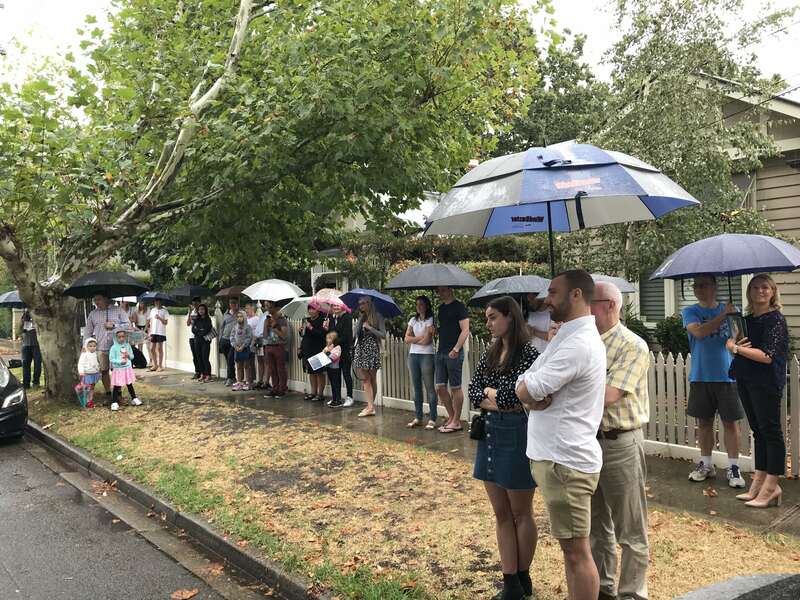 More than 100 people stood along both sides of the street to watch the action for the sale of this pretty and well renovated Edwardian. The home offers spacious family living within the Gascoigne Estate, with both west and north facing outdoor options even on a south rear block. The home last sold 10 years ago for $3.325m and has since undergone a full cosmetic update, as well as the addition of the pool. Justin Long and Rae Tomlinson ran the campaign, with Justin leading the auction on Saturday. As he customarily does, Justin opened with an instant $5.4m vendor bid to get the action started. Although there were so many in attendance, no one was prepared to actively participate in the auction, even after a half-time break. The property was eventually passed in and remains on the market at time of writing, with an asking price of $5.88m. 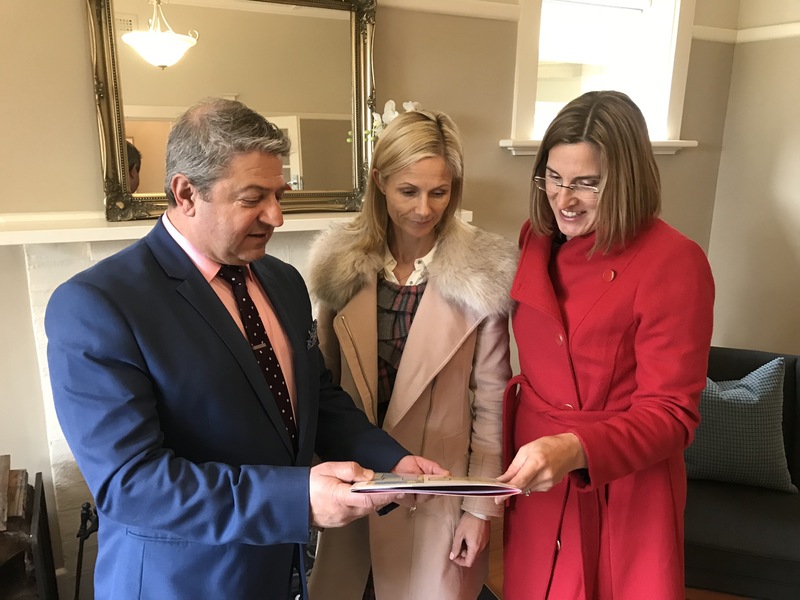 Kristen & Alexandra reviewing the highlights of the renovated Californian Bungalow at 53 Plummer Rd Mentone with Lou Colella from Thomson Real Estate. Great young family or downsizer option. It was another fortnight of good results for most of the ‘A’ grade properties, with position the key criterion that supported the properties that sold well. Of interest, 20 Bridge Street Hampton (Michael Cooney/Melissa Grinter, Hodges) was auctioned again, the second time this year after being auctioned in late February. The property passed-in this time to a genuine bidder for $3,125,000. We believe this to be down just slightly on earlier offers; however, it still suggests that the market in general hasn’t changed too much this year. Located in an ‘A’ grade location (walk to both Hampton & Sandringham shops/station and the beach), the home is on the south side of the street yet quite cleverly brought sun into the living area. With no downstairs bed/bath combination, this perhaps ruled out one of the main buying groups – the downsizing market. We believe a home could sell three times in the same year and get a different result each time, depending on the combination of variations (buyer groups, other homes for sale, weather, external economic influences) in the market place. The offer at Bridge Street (while it hasn’t sold) supports our belief that the market is fairly steady. We think it also demonstrates that if you are trying to sell a ‘price’ rather than the property, now may not be the time to do it. If vendors are planning on ‘testing’ the market at the moment, it may be better to try quietly, particularly given the costs (advertising, staged furnishings etc) associated with a campaign. We are seeing the number of off market/private sale properties continuing to increase and there are some good properties among them on offer. Nick Johnstone working the large crowd to entice a bid for 5 Rooding St Brighton. 5 Rooding St Brighton delivers a fully renovated Edwardian home with North rear, in close proximity to the amenities of Bay St. 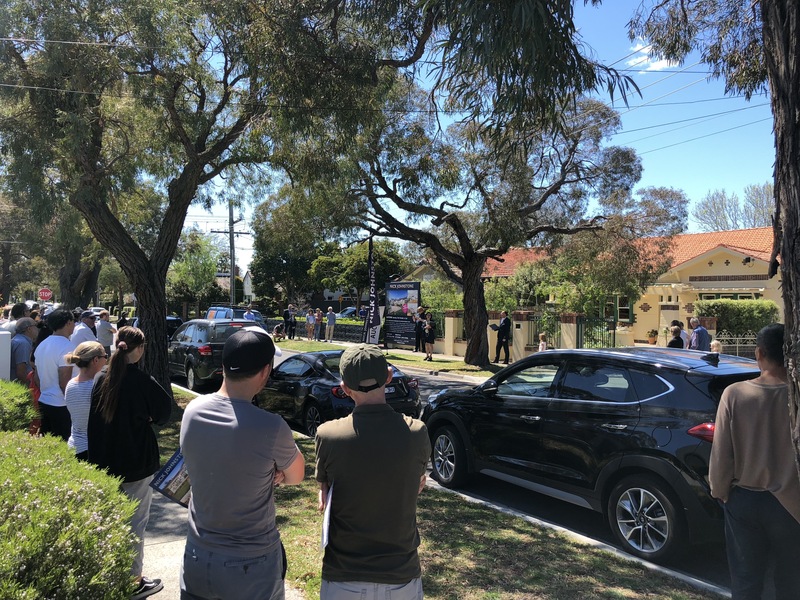 Equally suited to downsizers or young families, the auction attracted a large crowd along both sides of the street in the afternoon sunshine. 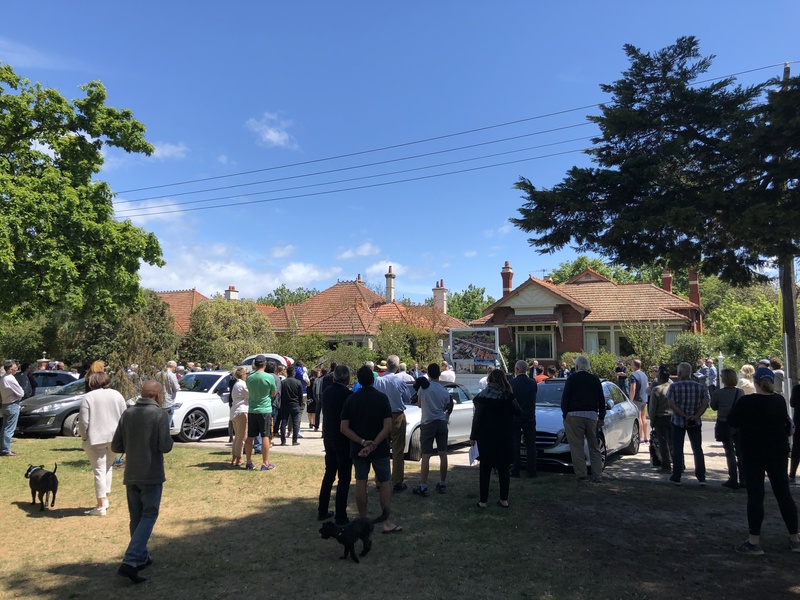 Similar to many auctions in recent times, once the call for offers was made by Nick Johnstone from Nick Johnstone Real Estate, he was greeted with silence even after placing a vendor bid of $2.15m to get things rolling. Buyers were content to hold back and see what would happen, not fussed about getting the first right of refusal. The property was passed in on the street. Post auction negotiations saw the home sold for an undisclosed amount above $2.2m. Three bidders gave Fraser Cahill from Marshall White plenty to work with at the auction of 12 Ashleigh Road. A four-bedroom family home over 2 levels, as already detailed above, was on offer at 12 Ashleigh Rd Armadale. Fraser Cahill led the Marshall White team for the auction with enthusiasm and it became an entertaining spectacle. Things started slowly with a $2.6m vendor bid and the customary wait by bidders before two $10k offers. At this point all looked stalled and Fraser went in for a discussion with the vendors. An offer of $5k was rejected at this stage, leading to slow bids back and forth before a sudden jump by bidder 1 to $2.7m. Back to $10k rises and consistent requests by bidder 1 on whether the home was on the market. A mix of smaller and larger bids and the entrance of a 3rdbidder finally succeeded in gaining the call “it’s on the market” at $2.86m. A flurry of activity between bidder 1 and 3 swiftly brought the value to $3.14m at which point bidder 1 stepped out. Bidder 2 came back in for another appearance with the home eventually going to the third bidder for $3.180m. A strong result!